SO, today I posted my first post on MINECRAFT. I apparently did not publish it when I meant to. Oops. Anyway, since then MINECRAFT has arrived on the next gen/current gen consoles. There hasn’t been much co-op play happening though, as my workload was crazy, Destiny came out too. Finding a day where multiple people were free to play MINECRAFT was difficult and as hard to arrange a date. Little is not none though, and we have played a little in a cooperative map. I’m not as excited for, it as the other people I play with, as I have only played it a few times. We keep having party issues too. We managed quite a long session one time, for me it consisted mainly of digging. One guy who was playing kept dying. In a cavern I went down to help him fight some monsters and he accidentally killed me. So I made him feel bad and left him to it. He died, again. The majority of the time I have been playing on my own, in a world I have since named Pumpkingdom. 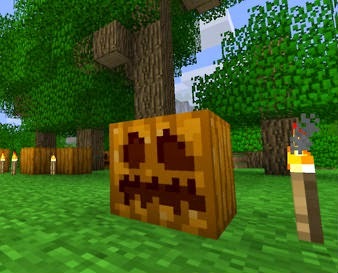 You can probably guess it is because of the many pumpkins and Jack’o’Lanterns I have grown and created in this world. 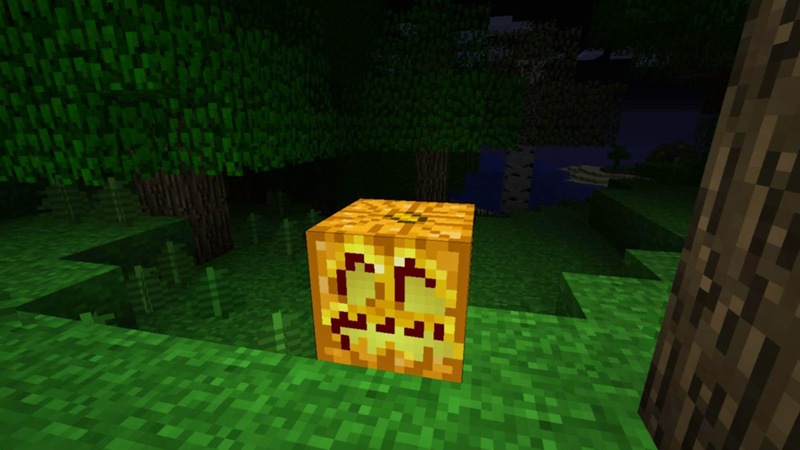 It wasn’t on purpose, I named it a long time after I started the world, I just wanted light on the outside of my house, that wasn’t torches, and I had never actually made on before. They were the only thing around at the start of the game, and I soon had a farm going. Now they are at all the entrances to my hill house, and in places to help me navigate. I will get you some pictures of this soon.